FORT WAYNE, Ind. (August 21, 2018) – United Way of Allen County’s Annual Day of Caring will kick off with breakfast on Wednesday, August 22. Join the event at Headwaters Park East Pavilion at 7:30 a.m. This year, over 1,800 volunteers will participate in more than 85 community service projects in the Fort Wayne area. 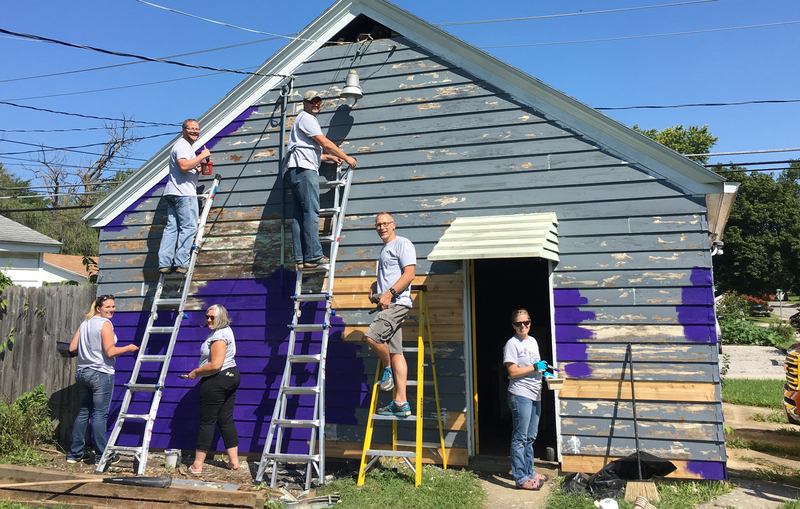 Day of Caring projects include various tasks such as cleaning, landscaping, painting, supply drives, and general maintenance. Projects take anywhere from four to eight hours to complete and teams range in size from three to 200 people. The work being done takes place within Allen County at non-profit agencies, schools, or private residences recommended by NeighborLink. Established in 1922, United Way of Allen County is a not-for-profit organization that unites our community’s time, talent, and treasure to cultivate and advance community solutions that address the most critical issues around basic needs, education, financial stability, and healthy lives.